Because of their size and strength, large trucks can be particularly dangerous on our roadways. And in the event of an accident, these vehicles pose unique challenges that that can only be overcome with experienced legal counsel. At the DeMayo Law Offices, we’ve been protecting the rights of North Carolina accident victims for almost 30 years. Our experience helps us maximize settlements to ensure victims and their families are taken care of now and in the future. Call our attorneys today at 877-529-1222 for a free consultation, or tell us about the accident online. Our attorneys work on a contingent-fee basis, which means you don’t pay anything unless we win your case. The trucking industry is a large distribution chain that includes drivers as well as employers, cargo loaders, maintenance crews, and parts manufacturers; and each has an important role to play in the transportation of goods or passengers across the county. Whenever any part of the chain is compromised, liable parties can be held responsible for damages. In some cases, multiple parties are found liable. It’s common to have multiple insurance companies negotiating settlements after an accident involving a large truck. Unfortunately, without an experienced truck accident attorney, victims could miss out on important sources of compensation. If you’ve been injured by a commercial motor vehicle (CMV) or other heavy transportation truck, you need a law firm that understands truck-industry rules and regulations. If you’ve been injured, you need DeMayo Law. Call 877-529-1222 for a free consultation, or contact us online. Generally, CMVs and ‘large trucks’ refer to vehicles with a gross vehicle weight rating (GVWR) greater than 10,000 pounds. This might include several types of vehicles such as semi-trucks, tractor-trailers, flatbeds, 18-wheelers, buses, large shuttles, delivery trucks, etc. Operating and maintaining a commercial motor vehicle (CMV) isn’t easy. It comes with responsibilities that exceed what’s expected of other drivers and enforced by both state and federal regulations. There are lots of ways things can go wrong in the trucking industry. But if these rules are followed closely, it may help to limit their liability in the event of a crash. If you’ve been in an accident involving a large truck or CMV, you don’t have to fight the truck driver or trucking company on your own. Truck accidents often result in complex legal disputes with multiple insurance companies. An experienced injury lawyer can protect your rights and help ensure no money is left on the table. 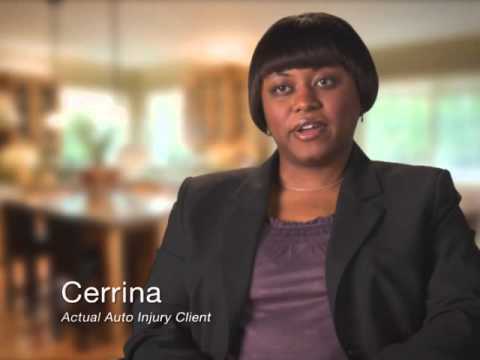 Our injury lawyers have the knowledge and resources you need to secure compensation. Call our Charlotte-based office at 877-529-1222 to discuss your legal options, or tell us about the accident online to get started now!